The Ball of Living Matter is a highly visual performance / installation, so the costumes also play a large part in creating this world. These silk tunics were designed specifically for each act of the three acts of the performance, each tunic meant to express the themes and color concepts of each act. 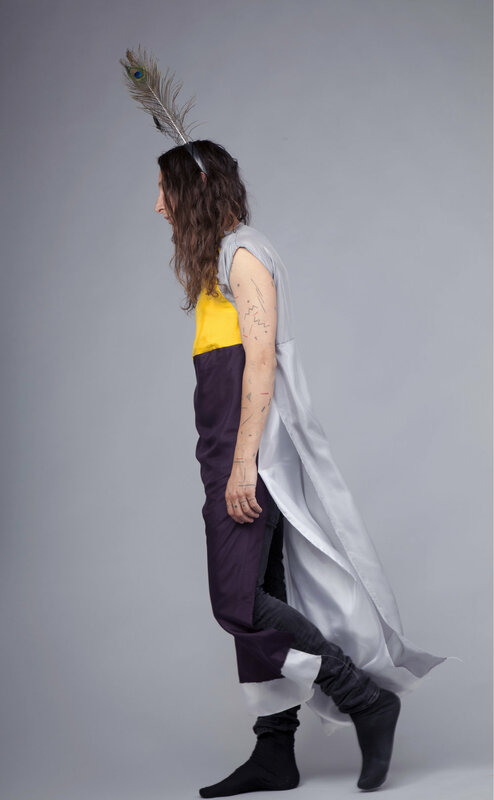 Unisex in cut and style, the costume transforms the body into a kind of abstract plane. The lightness of the silk, however, flows with the body’s lines and movements.